Is Strike It Lucky an interesting casino? Find out in our review what you have to take if you decide to stop here - a bottle of whiskey or charger? What is Strike It Lucky Casino? 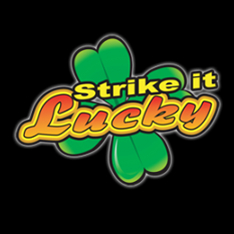 Strike It Lucky started its operating in 2004. You might think that it is a well-experienced place, as it operates over 13 years. However, once you open their home page, you will be disappointed. It doesn’t look like an online casino at all and have a boring design. The developers decided that the logo in the form of a four-leaf clover will make this place attractive for you. It was a good attempt, but in most cases, players pay their attention to the game library, promotions, and support. The casino is regulated and licensed by the Kahnawake Gaming Commission. Despite the casino’s outdated look and poor design, it seems like they take care of their gamblers. Firstly, your sensitive data are protected with the SSL encryption technologies. Secondly, the support service is top-notch here. Look, you can use a live chat, email communication, and even toll-free number in order to get in touch with the agents. Strike It Lucky withdrawal time is average and takes up 3-5 days, depending on the payment method you use. As for the banking, there are such banking options here as Neteller, Skrill, credit cards, etc. Don’t forget to check out their cashout policy, because some limitations are imposed on the withdrawals. Video Poker - Joker Poker. It is expected, but we have to say it - live-dealer games are not offered here. Like almost every modern casino on the web, this one also provides a Welcome Bonus for newcomers. Very good, but this offer is as small as Thumbelina. Only a 50% match reward up to €20 will be granted on your first deposit. We hope that such tiny offer has to come with the funny wagering requirements, but the world is cruel. The bonus amount must be wagered at least 60 times. Strike It Lucky bonus code is not required. Our Strike It Lucky review shows all the important things that you have to take into account. Truthfully, we can not recommend this place for both newcomers to the gambling world and experienced players. This casino simply seems to be boring. Furthermore, the bonus is tiny, and Strike It Lucky Free Spins are not offered.